Easy transition from Umbrella. However control on salary and tax payments lie with the contractor. With Solus PSC, you can almost forget that you are dealing with companies. Instead, the smart interface lets you deal with contractors, using the method you are used to. 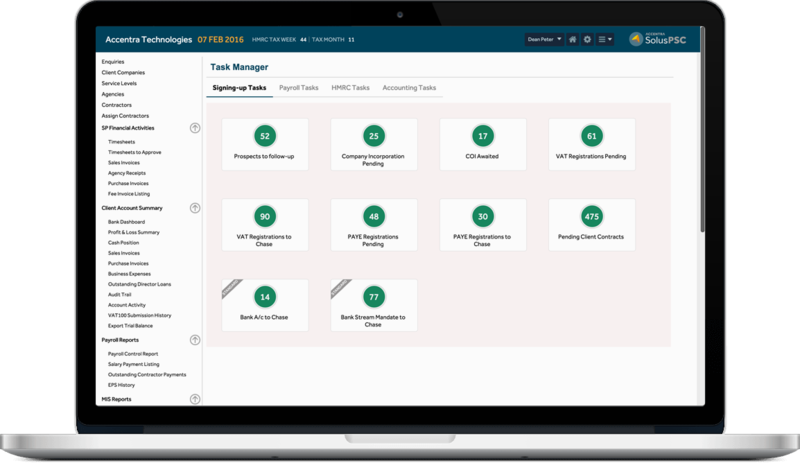 It’s the contractor that you need to focus on when it comes to timesheets, payroll run, payments, reporting and everything else. The intelligent software maps the contractor to the right company and posts all the payroll and financial transactions in the background. This clever thinking demonstrates how smart Solus PSC is when it comes to helping you with the transition from Umbrella to PSC. 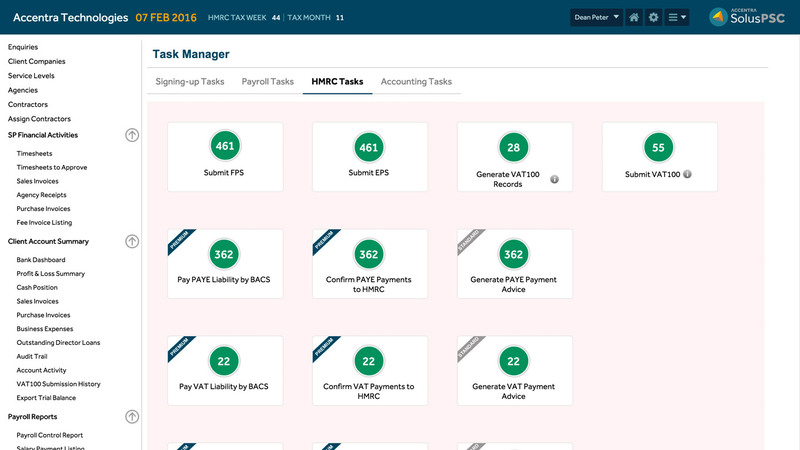 Designed based on the principles of the latest Single Page Application technology, Solus PSC’s Task Manager allows you to oversee, track and process every single Payroll, Accounting and HMRC task from just a single screen. You will never have to open individual companies! The task manager serves as a Reminder, Tracker and a Processor – all in one screen and for all companies. 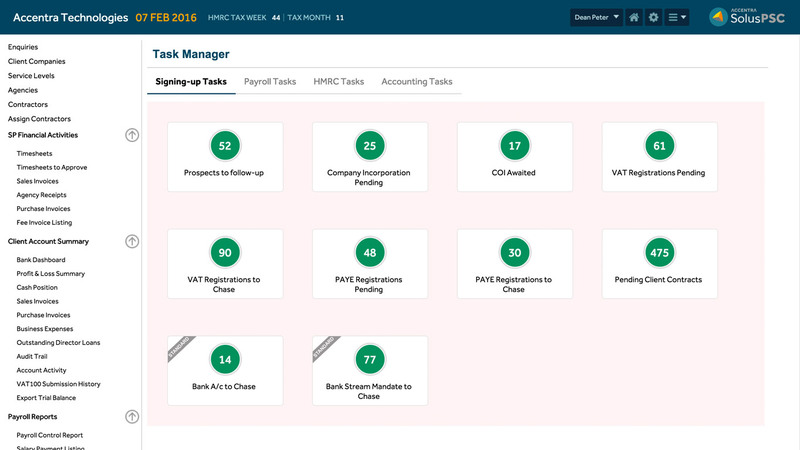 Name any process, be it importing timesheets, generating invoices, running payroll, generating payment advice – it’s all done from one screen for all companies. A contractor with his own limited company can employ one or more his/her colleagues and make use of the lucrative £3,000 employment allowance, but without compromising on fund distribution. Solus PSC differentiates earnings by each contractor on the company’s payroll and processes their salary proportionally. Dividends, if applicable, will be processed only for the contractor that owns the company and the shares. We think about every possible way to help contractors save money! Salary only – all timesheet earnings applied in salary calculation. Annual Basic plus Dividends – A predefined basic applied on the salary with the rest paid as dividends. Automatic Basic plus Dividends – An automatic minimum basic applied on the salary and the rest paid as dividends. Whichever method you use, it’s applied only to the contractor that owns the company and the shares. All other employees are paid only a salary based on their timesheet earning. Gain arising out of the PSC’s eligibility to operate the flat rate VAT scheme is key to the success of switching to the PSC model. We have recognized this early enough to build in awesome flat rate VAT automation. The flat rate VAT gain is calculated at the time of sales invoice generation and a journal is instantly posted transferring part of the VAT liability to an income account. You can report the Flat Rate VAT gain across companies at any point of time. VAT100 Returns are completely automated. You will know which companies are due for VAT Return and which have outstanding VAT payments. VAT returns get completed for the multitude of companies from a single screen. VAT Payment advice is emailed or texted to contractors and outstanding payments are followed-up until paid. 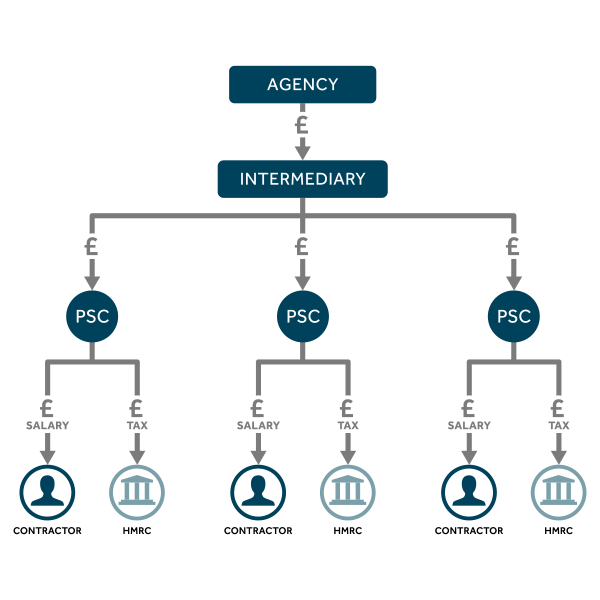 Unlike the Umbrella model, a PSC is owned by the contractor and the associated bank account is operated by the contractor too. So how do you know if the contractor has paid himself the right money and paid off the HMRC liabilities? Relying on the contractor can be futile and not knowing the details can result in failure. We have thought about this too. 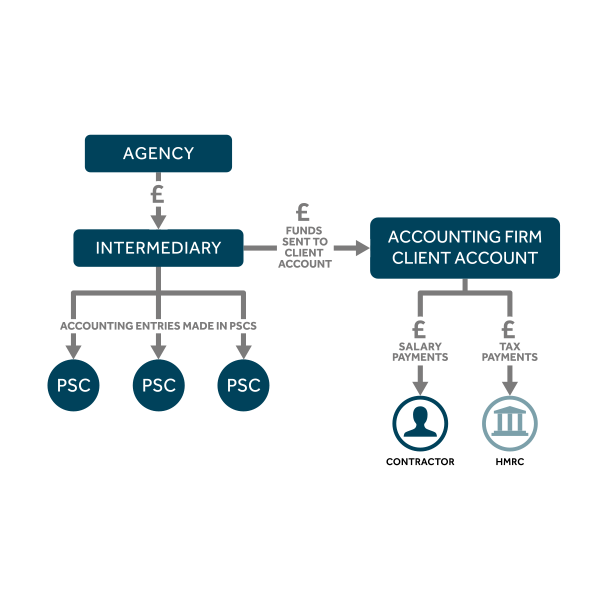 Solus PSC imports bank transactions from hundreds of PSC bank accounts directly into company accounts data. In most cases payments and receipts are matched automatically and allocated. Where the system cannot match, it will prompt you to do manual allocations and, as you manually allocate, it learns from you and applies it automatically next time. If everything is automated for PSCs, it’s only fair that you also get your fees automatically, without expending any extra effort. So we have implemented an automatic fee invoice posting feature for you. The system reminds you on the fee bills to be posted, posts the bills and generates a direct debit instruction file. As with the Umbrella model, the fee doesn’t have to be the same for all contractors. Depending on the level of service you provide, you can map each company to a different service level. 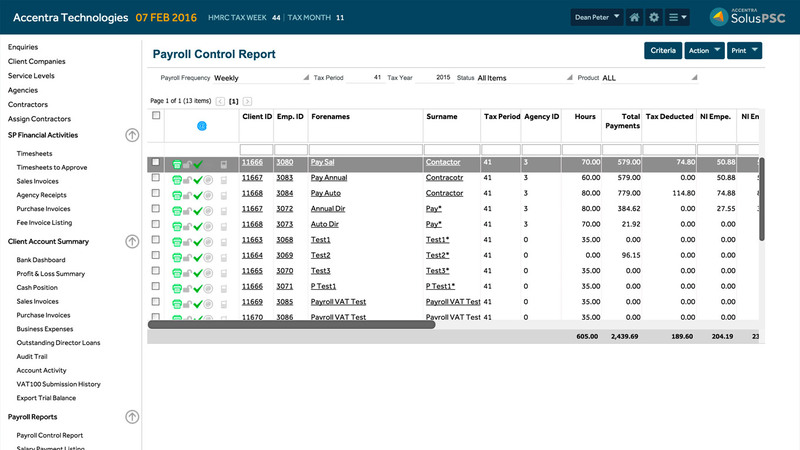 Each service level, in turn, can be configured with a specific fee. A notification icon on the Solus PSC Task Manager prompts you to act on the companies that are due for CT300. When you click the notification icon, you will get a list of companies that are due for returns. 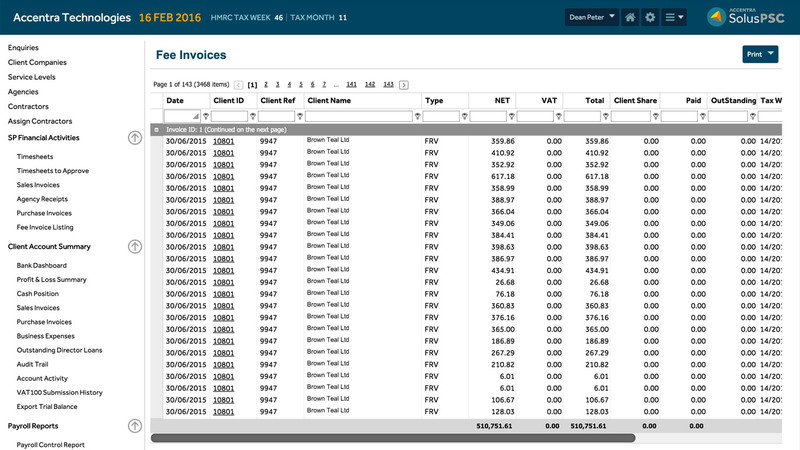 Click another button and the software will export the Trial Balances for the relevant accounting year. 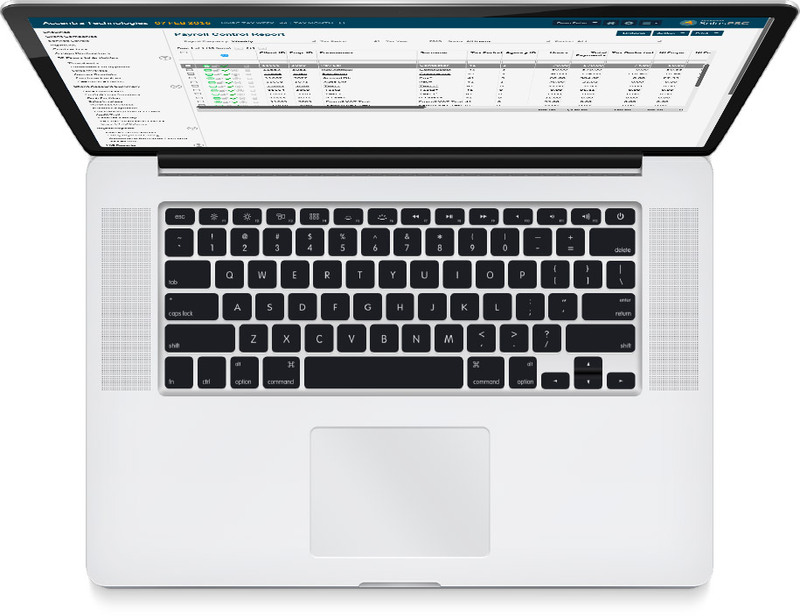 All you need to do is import the CSVs into TaxCalc software and complete the return. Annual Returns are tracked the same way with a prompt to take action. Once done, open the list and confirm that you have done the returns. If you don’t, the system will keep reminding you until you do. Nothing gets missed with Solus PSC even for the busiest team! 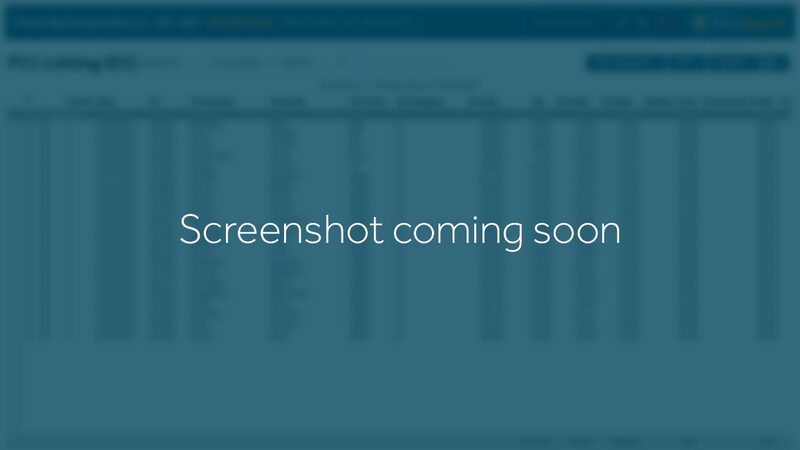 Keep an eye on this space to learn when new features are launched!